When water-related disaster strikes, it always seems to happen at the most inappropriate time. 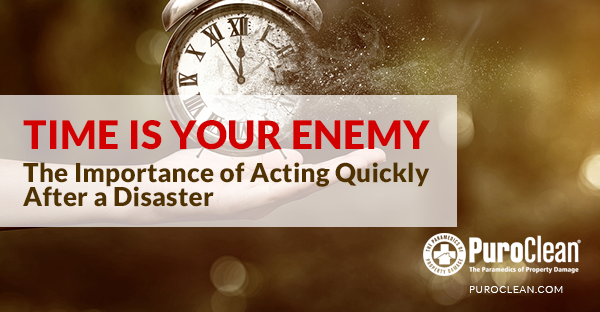 Whether it is a broken water pipe, burst hot water heater, sudden storm damage, vandalism, or a fire, remember that Time Is Your Enemy. If professional water damage repair services are not performed in a timely manner, damage and the costs-to-restore will often increase exponentially as each day passes. Drywall can often be dried; carpeting and pad can be dried and cleaned; hardwood flooring can be dried; and furniture and other content items can be dried and cleaned. The key to the restoration is rapid response by a professional restoration specialist who is qualified to perform the mitigation services in a professional manner. Such professional response can help you contain your costs and alleviate a multitude of problems that might be encountered throughout the loss. During a disaster-induced trauma, many homeowners can become confused and distraught and often feel they are in a very vulnerable position. Our professional restoration specialists know this and we are able to help the distraught homeowner. We can help educate the homeowner by continually keeping them informed about what work needs to be performed during the mitigation and repair process. Our goal is to return the property to its pre-loss condition as quickly as possible. Communication is an important part of the process. To prevent problems from arising, Our professional restorer will assure that all parties involved will be informed in a timely manner of the progress and any concerns of the loss. More and more people have become aware of the potential health risks created when water-damaged structures are not dried out quickly and correctly. Mold may be responsible for a sick building syndrome, allergic reactions, and other health problems. Mold growth is often invisible to the naked eye and confined to crawlspaces, the interior of wall and ceiling cavities, HVAC ducting, and other inaccessible locations. Most molds require high levels of moisture during initial growth but can mature and reproduce at much lower moisture levels. 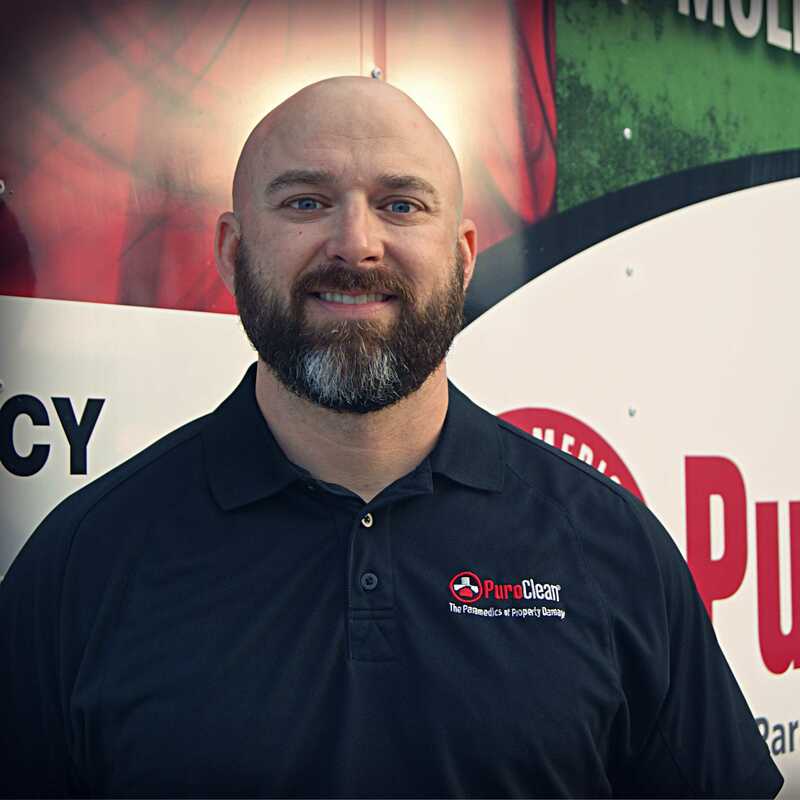 Our professional restoration specialists can help prevent mold growth by providing rapid response and efficient drying utilizing the most appropriate, state-of-the-art equipment for the job. Moisture must be removed before mold gets established. If mold has already established a foothold, our professional restorer will be able to take the necessary actions and steps to prevent further contamination and to eliminate the problem. Our trained personnel are able to mitigate the damage properly and quickly since we know that time is the enemy. Mold growth is not the only concern with water-damaged structures. Rapid response by a professional restoration firm that has been properly trained and equipped can help to prevent other problems. Furniture stains; color bleeding or transfer in fabrics; cracking, splitting or warping of furniture components; rusting in metals; corrosion of electronic components; and secondary damage to wallpaper, photos, papers, upholstery, drapery and clothing are a few of the potential problems that need to be addressed as rapidly as possible. Our trained, professional restoration specialists can prevent these concerns with a timely, rapid response. Fire or smoke damage to property, regardless of the size of the fire, also requires an immediate response. Soot residue is highly acidic and can cause irreversible damage if it is not treated as an emergency. Soot residue can cause the metal in doorknobs, plumbing fixtures, light fixtures, etc., to pit or corrode. Glass in windows, mirrors, and cabinets can be etched by soot residue, causing them to look cloudy and soiled. Plastics, appliances, vinyl windows and fabrics can be discolored by soot residue. Our properly trained professional restoration specialists can inspect for these problems and we are able to perform the necessary actions to prevent damage from occurring. Another area of concern in all disaster restoration situations must be safety and security. Windows and doors may be compromised. Valuable possessions may be at risk for secondary damage. The collapse of wet and damaged materials (heavier when wet and weaker when damaged), electrical issues (mixing of electric and water can be hazardous to your health), and liabilities from slips and falls are all concerns in a disaster setting. Our trained professional restorers will be able to identify these perils and respond appropriately to eliminate these risks.